Dr. Frankenstein is a scientist, an inventor, a creator. With the help of Igor, Dr. Frankenstein finds a way to create a human. A bolt of lightning brings the creature to life Unfortunately, the monster's size and asparagus-induced green color scare him and people he encounters. In his search for companionship, the creature meets a little girl, a blind mind, and Francesca, another creation of Dr. Frankenstein. 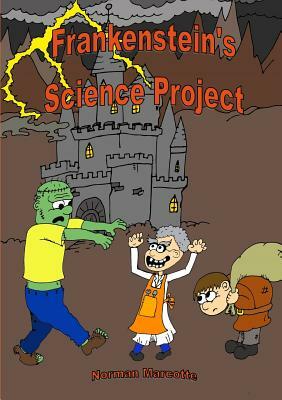 This funny adaptation of Frankenstein will delight children as they follow the adventures of Dr. Frankenstein and his science project. Illustrations created by Alex Bjelica.